I had a conversation with someone close to me a few weeks ago about how everything's going, and we got to talking about my rather extensive (and expensive) education. This person said something to the effect of, "Well, you spent all of that money on that education, and you're not exactly setting the world on fire right now." I was crushed. But deep down, for some reason, it resonated with what's inside of me. I should clarify: it didn't resonate WITH ME, directly--but rather that voice that lives inside, and comes out at the most inopportune times. You know the voice, what Seth Godin calls the "lizard brain" poking through, questioning ourselves, making us doubt what we're doing, where we're headed. Trying to keep the status quo at all costs, results be damned. It was only recently that I discovered that wasn't the root of what that voice inside my head was actually saying. It wasn't saying, "Your writing isn't worth anything," or even "Nobody wants to read that." It's terrible, I know. Sometimes I value myself and my work so little that I can't even stand up to these people, looking to make a buck on an eager young writer, who, worst of all, has written quite a bit professionally! When someone like the unnamed individual at the beginning of the post steps in and basically confirms my worst fears, it can be a bit jarring. Is there a future in this for me? I soldiered on, doubts swirling in my head as I worked on my writing, my business, freelancing, pretty much anything I could to get my mind off that awful feeling I had, that I was somehow "wasting" this tremendous opportunity I had been given. A few days later, I was out on a first date with a nice young lady--didn't work out for other reasons, but that's not important at the moment. We got to discussing our backgrounds, and she kept asking questions, so I filled her in on all of the crazy stuff I've been up to, half-expecting her to just laugh in my face all the while. When we were done with the conversation, she paused for a minute, and looked right into my eyes. 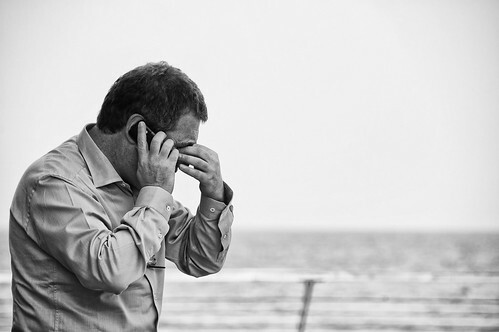 Her: "So let me get this straight--you went to Dartmouth, went to a top law school, been an attorney at a premiere law firm, visited Australia, Europe, and a bunch of other places around the world, covered an NFL team as a writer, co-hosted a weekly radio show, covered the Super Bowl, published two novels, AND started your own company?" Me (taken aback): "Uh...yeah, I guess when you put it that way..."
Her: "And all by the time you're thirty?" You know what? She was right! I couldn't believe it--here I was letting one person get me down, playing into my own self-doubt, confirming all of my deep-seeded fears, all while this perfectly normal, happy person--a stranger, for all intents and purposes--was blown away by all I had accomplished already. As people, I think we're the sum of our accomplishments, for good or ill. These can range from helping others to self-improvement, from selfishness to selflessness. A lot of times, we may try to downplay our own accomplishments, somehow attributing them to "good luck" or "just doing my job." It doesn't help that there will often be a cadre of haters along the way trying to put you down, hold you back, tell you that "you" can't be successful because of jealousy or impossible standards. Of course, on the other end of the spectrum, we all know people who aggrandize their accomplishments, who trumpet imaginary accolades without proving results and expect the universe to cater to their wishes. Obviously, you should try to align the two: if you have a skill, and that skill has value and can help you make a living, by all means, let people know! Show them how you can help their business or help them solve a problem. Explain how what you're offering will help them out. And always, always, always be improving. I've recently thrown myself into freelance copywriting (writing sales letters, website copy, brochures, etc. for businesses). It's a fun business where I can put my skills to work and earn some cash. Also, apparently I have a knack for it, at least here in the early going, which is nice. Do I think that as a new copywriter, my sales letters are going to be worth tens of thousands of dollars (yes, people actually pay that for the top copywriters--it's the writing profession's dark secret!) right away? Probably not. Maybe if I negotiate a royalty or whatnot, but some businesses don't want to deal with that. If I read every book I can on the topic, if I comb through the masters' blogs looking for new techniques and advice, if I practice my craft, honing my writing through courses and spec ads, if I take on a few smaller clients and get big results for them, then could I justify the increase? If you think you should be earning more for the work that you do, you have a problem with either (1) your mindset, or (2) your skill set. It's important to approach any project with a ton of confidence--get your mind right first. But if you do so and you still aren't earning what you think you should be getting, maybe you need to take a good, long look in the mirror and reevaluate your skill set. The good news? I've found that with the proper amount of drive and a thirst to improve, you can absolutely improve your skill set. After all, unless you're trying to make the NBA as a 5'1" 50-year-old, odds are that you can learn whatever you need to get to "the next level." That doesn't mean that it won't be hard, won't push your limits and boundaries, won't make you question "is it all worth it?" You'll be questioned. You'll be tested. Heck, sometimes you might be downright laughed at. But persevere through the rough spots, through the muck and the crap where other fall, through the pain and regret, and I promise you, at some point, doors will start to open. It might take some longer than others, and require some selling of yourself (another post for another day), and taking yourself out of your comfort zone, but you will start to see results. Those results start by accepting one thing: that you do have value, that you can help others, that you can solve problems. And that all of that is just the start of a very long, and ultimately satisfying journey. Thanks for indulging me in this personal essay--have you ever been at a point in your life where others questioned you? Or worse, made you question yourself, the very fiber of your being? Let me know in the comments. In addition to being the co-founder and CEO of Hunt to Read, D.J. Gelner is a writer in St. Louis Missouri. Check out his books, available at his Amazon Author Page and on Nook, iBooks, and Kobo. Follow him on twitter (@djgelner) or facebook (here). 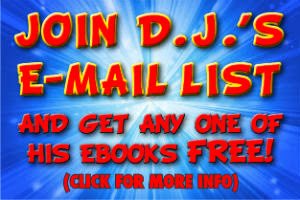 E-mail him directly at djgelbooks@gmail.com. Check out his marketing writing portfolio at www.djswriting.com.